The 2019 Youth Builders of Greeneville Scholarship Award. Deadline to apply: April 15, 2019. Leora Bullen Scholarship, Greene County Democratic Women. Deadline to apply: March 27, 2019. Carrie McGaughey Clemens DAR Scholarship for students who intend to continue their education at Tusculum College. Deadline to apply: March 15, 2019. The Mary Hurley Wells Memorial Scholarship. Deadline to apply: March 15, 2019. Stan and Thelma Plumlee Scholarship. Deadline to apply: March 8, 2019. 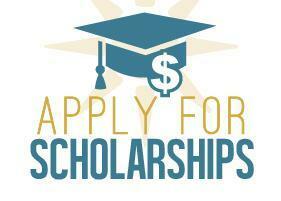 East Tennessee Foundation Scholarship. Information available at http://www.etf.org/scholarships. Deadline to apply: February 15, 2019. Kids’ Chance of Tennessee, for students who have had a parent suffer a catastrophic or fatal injury pursuant to the Tennessee Workers’ Compensation Act. Information is available at www.kidschanceoftn.org. Tennessee Concrete Association High School Essay Contest. Information is available at www.tnconcrete.org. Deadline to apply is March 15, 2019. The Brooks Bequest Committee of Trinity United Methodist Church. Information is available at www.trinity-um-church.org. Deadline to apply is February 28, 2019 at 4:00 pm.